Benton Stokes is a noted songwriter and worship leader from the buckle of the Bible Belt. Dr. Elane O'Rourke is a spiritual coach and ex-professor from San Francisco and L.A. They talk about life and God, with no filter. Over cocktails. Just like you. Put on your sense of humor, unleash your deepest spiritual longings, and pour yourself a glass. 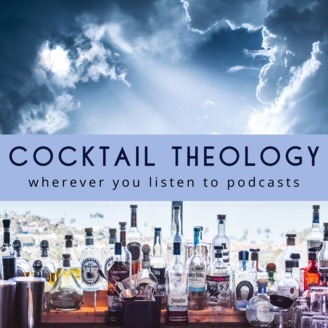 Join us for Cocktail Theology. Want to become a Regular, gain swag, and support the show? Visit http://www.patreon.com/cocktailtheology. You've moved on. You've left a church. Have you left The Church? Have you left God? And what does all that mean for what's next for your community worship, your sense of connection, your life with God? 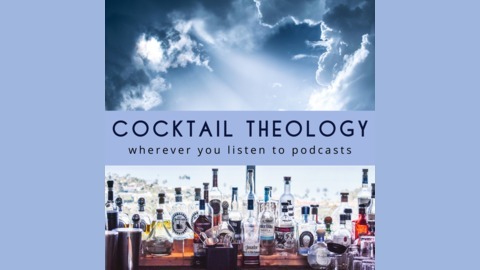 Benton and Elane discuss what Benton's been doing since he left his church job, and why being part of the consciously-universal Church is so attractive these days. Listeners--We Want To Hear From You! If you're part of a denomination or connection that is consciously aware of its connection to history and eternity, we want to hear from you! Email us at info@schoolforseekers.com. Visit Us! We'll be pouring and interviewing at the main events of the Nashville Cocktail Festival, April 23-26, 2019. "Amazing Grace," "It Is Well (With My Soul," "Be Thou My Vision," "I've Got Peace Like A River", all public domain, all played by Benton Stokes. Episode 26: What Are We Talking About When We Talk About...?